Thomaz Bellucci enjoyed playing in his home country as he took on Roger Federer in the first of the Swiss maestro’s exhibition matches in South America. The crowd was exuberant from start to finish in Sao Paulo, Brazil. 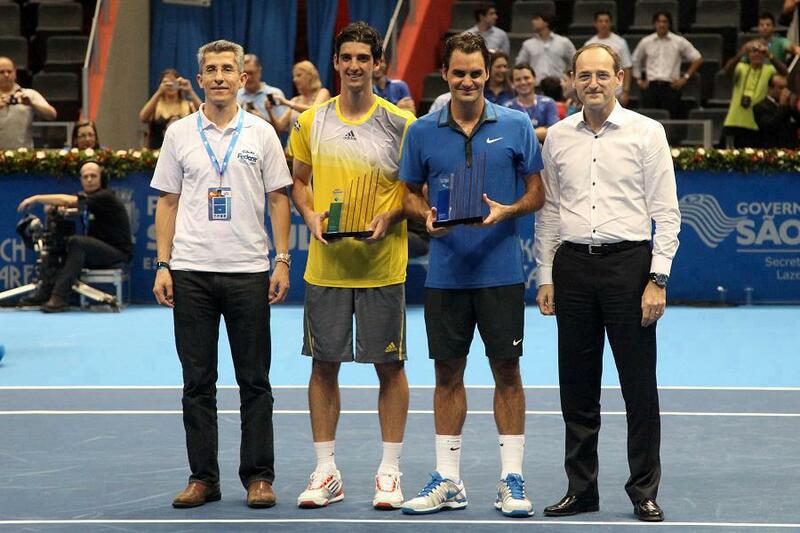 The match was filled with fun moments and in the end, it was Bellucci who defeated Federer, 7-5 3-6 6-4. Federer will face Tsonga on December 8, at 9pm local time (US times: 6pm EST/3pm PST). All of the South American exhibition matches will be live streamed on the official Roger Federer YouTube channel.